Highly successful organizations understand the important link between happiness, productivity and bottom-line results. Our experience shows that happiness and satisfaction are essential for both individual and business success. Every action and behavior seen in the workplace can be explained in terms of the drive to achieve some form of happiness. 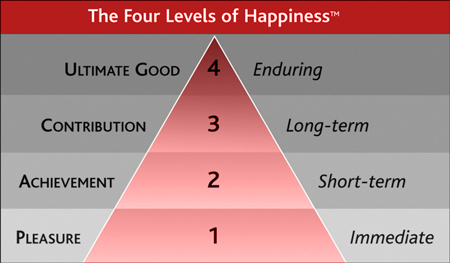 But happiness can be pursued at higher or lower levels that will either drive a business forward or drag it down. powerful drive for happiness and direct it toward shared goals, productivity and enduring results. The Spitzer Center shows business leaders how to unlock the powerful drive for employee happiness and direct It toward shared goals, resulting in greater teamwork, productivity and profitability. Individuals and organizations are shaped by the level of happiness they pursue. Higher levels of happiness help individuals achieve their full potential and deliver superior business results.